The 2009–10 Ligue 1 season was the 72nd since its establishment. Bordeaux were the defending champions. The fixtures were announced on 5 June 2009, and play commenced on 8 August and ended on 15 May 2010. 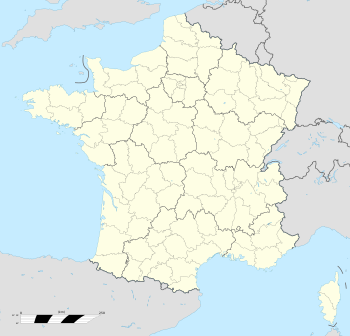 There were three promoted teams from Ligue 2, replacing the three teams that were relegated from Ligue 1 following the 2008–09 season. A total of 20 teams competed in the league with three clubs suffering relegation to the second division, Ligue 2. All clubs that secured Ligue 1 status for this season were subject to approval by the DNCG before becoming eligible to participate. In addition, German sportswear company Puma became the official provider of match balls for the season after agreeing to a long term partnership with the Ligue de Football Professionnel. The season began on 8 August 2009 under a new format with 16 clubs beginning play simultaneously followed by 4 clubs competing the following day. Under the new format, the showcase match of the opening week will contest the winners of the league the previous season and the winners of the second division the previous season. In the match this year, defending champions Bordeaux defeating second division champions Lens 4–1 at the Stade Chaban-Delmas. On 5 May 2010, Marseille defeated Rennes 3–1 to claim their 9th Ligue 1 title and their first since the 1991–92 season. Because of their Coupe de la Ligue title, Marseille claimed the league and league cup double. It is the second straight season a club has won the league and league cup double with Bordeaux achieving it last season. ^ a b Coupe de France winners Paris Saint-Germain qualify for the 2010–11 UEFA Europa League Play-off round of 2010–11 UEFA Europa League. ^ Coupe de la Ligue winners Marseille finished as champions, fulfilling a finish of at least 4th place, thus their Europa League Third qualifying round berth will go to the 5th placed team in the league. Mamadou Niang won the Trophée du Meilleur Buteur. Lucho González won the Trophée du Meilleur Passeur. The nominees for the Player of the Year, Goalkeeper of the Year, Young Player of the Year, Manager of the Year and Goal of the Year in Ligue 1. The winner was determine at the annual UNFP Awards, which was held on 9 May. The winners are displayed in bold. First goal of the season: Mamadou Niang for Marseille against Grenoble, 1 minute and 34 seconds. (8 August 2009). Fastest goal in a match: 1 minute – Roland Lamah for Le Mans against Montpellier. (10 April 2010). First penalty kick of the season: 58 minutes and 44 seconds – Mathieu Coutadeur (scored) for Le Mans against Lyon (8 August 2009). First hat-trick of the season: Michel Bastos (Lyon) against Sochaux (21 February 2010). Most goals in one match: 10 goals – Lyon 5–5 Marseille (8 November 2009). Lyon v Marseille (8 November 2009); 2–2 at half time, 5–5 final. Boulogne v Paris Saint-Germain (2 December 2009); 1–0 at half time, 2–5 final. Longest second half injury time: 5 minutes and 56 seconds – Lens against Lille (20 September 2009). On 9 August 2009, Bordeaux established a record for most consecutive league wins with 12 surpassing Lille who won 11 consecutive matches in 1949, winning their last four games of the 1948–49 season and their first seven in the 1949–50 season. Bordeaux's streak began during the 2008–09 season on 14 March 2009 following a 2–1 victory over Nice. The club broke the record on the opening match day of this season defeating Lens 4–1. The record lasted for 14 matches before coming to an end on 30 August following the club's 0–0 draw with Marseille. On 31 October 2009, Grenoble set a record for most consecutive losses in French football following the club's eleven straight league defeat, an 0–2 loss to Lille. The previous record of ten straight defeats, held by Sète, had been intact since 1947. The losing streak came to an end the following week, on 7 November, following the club's 0–0 draw with Monaco. Updated to games played on 7 April 2010. Auxerre Airness Nasùba Express No changes have yet been reported. Bordeaux Puma Kia New home, away, and Champions League shirt. Bordeaux's home shirt will remain traditional blue and will retain the v-design, which will be white and emblazoned along top half of the chest and shoulders. Away shirt will be white and will be an updated version of last year's away shirt. Champions League kit is all red with white vertical stripes that began near the chest area, so the shirt can retain its v-design. Boulogne Uhlsport Boostyle No changes have yet been reported. Grenoble Nike, Inc. Flash Kado No changes have yet been reported. Le Mans Kappa LOUÉ(home), Le Gaulois(away) No changes have yet been reported. Lens Reebok Invicta Lens leaves Nike for Reebok. New home and away kit. Home kit goes away from the original polka dot design and reverts to an all red shirt with Lens' secondary color yellow emblazoned around the shoulders, waists, and arms. Away shirt is all sky blue and is based on the home shirt with black replacing the yellow emblazonment. Lille Canterbury of New Zealand Groupe Partouche New home kit. Home shirt is all red with horizontal, darker red, thin stripe details. The shirt will have three white ovals on each side as a Canterbury design. Lorient Duarig La trinitaine New home, away, third, and fourth kits. Shirts will revert from last year's left to right sash. Home kit is prominently orange with a black and white design running along the shoulders. Away kit it is all white with the black and white design again running along the shoulders. The third shirt is black with the design running along the shoulders being orange and white. Fourth kit is brown at the top of the shirt, but slowly converts to a sky blue style color. The sky blue begins along the shoulders and run all the way down the shirt. Lyon Umbro Bet Clic Accor ends its partnership with Lyon. New sponsor Bet Clic comes on, effective January 2010, however Lyon have decided to contest this ruling in order for them to display their sponsor for the first part of the season, as well. New home, away, and Champions League kits. The home shirt has a white base color, with the horizontal red and blue stripe in the middle, reverting from the club's red and blue vertical stripe that has been used in previous years. The logo of Umbro appears on the top-right of the shirt in blue. The away shirt features a black and red design. The top part of the shirt is black and it fades horizontally in the middle into red. The shirt has a partly red collar, and also has red details on the black sleeves. The European kit is midnight blue with a horizontal red and blue locating in the middle of the shirt. Bet Clic (only European kit) New home and away kit. Home kit to have a more original design being white with sky blue vertical pinstripes, as well as a sky blue collar. Home shirt to also debut club's new crest. Away kit to include shades of light blue and dark blue reflecting the colors of both the club and the city. Both shirts to include the updated logo of sponsor Direct Energie. Monaco Puma Fedcom Updated home kit. Brand new away kit and alternate kit. Away kit to be red with red shorts and socks. Alternate kit is all white with white shorts and socks. Montpellier Nike Groupe Nicollin No changes have yet been reported. Nancy Baliston Odalys Vacances Updated home kit. Brand new away kit. Away kit from last year becomes third kit. Other than a few minor alterations, home kit remains the same. New away kit is all red and based on home kit. Nice Lotto Takara No changes have yet been reported. PSG Nike Emirates New home and away kit. Home kit to be all navy blue with red vertical stripes and a red collar. Away kit to be all white with red shorts. Rennes Puma Samsic Brand new alternate away kit, which was unveiled on final day of 2008–09 season. Shirt is all black with red collar and black shorts, which will be complimented with black socks. Sochaux Lotto Mobil 1 New home kit and away kit. Home kit will be all yellow with thin black vertical stripes. Away kit will be white with a black and yellow vertical stripe running down the middle of the shirt. Saint-Étienne adidas Fruité Updated home kit and brand new away kit. Third kit will be carried over from last season. Home kit was green with white shorts and green socks. Away shirt is white with a lime green sash going from left to right along the shirt, akin to Argentine club River Plate. Toulouse Airness IDEC Updated home kit and brand away kit. Away kit is predominantly gray with purple stripes engraved along the shoulders and sides of the shirt. Valenciennes Nike Toyota (home), SITA–Suez(away) No changes have yet been reported. ^ "Les calendriers 2009/2010 de Ligue 1 et Ligue 2 dévoilés". Ligue de Football Professionel. lfp.fr. 5 June 2009. Archived from the original on 8 June 2009. Retrieved 5 June 2009. 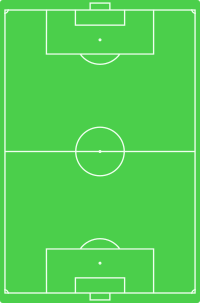 ^ "Le calendrier général de la saison 2009/2010". Ligue de Football Professionel. lfp.fr. 5 June 2009. Archived from the original on 5 May 2009. Retrieved 5 June 2009. ^ The DNGC is responsible for overseeing the legal and financial accounts of professional and amateur football clubs in France. If clubs operating in the football leagues of France did not meet the DNGC's expectations, they could face sanctions, such as relegation. ^ "Actualités DNCG". LFP. Ligue de Football Professionnel. 26 May 2009. Archived from the original on 3 June 2009. Retrieved 26 May 2009. ^ "Les ballons officiels Ligue 1 – Ligue 2 révélés". LFP. Ligue de Football Professionnel. 5 June 2009. Archived from the original on 7 June 2009. Retrieved 5 June 2009. ^ "Marseille 3–1 Stade Rennes". ESPNsoccernet. ESPN. 5 May 2010. Retrieved 5 May 2010. ^ "L'OM champion de France !". Ligue 1. Ligue de Football Professionnel. 5 May 2010. Archived from the original on 9 May 2010. Retrieved 5 May 2010. ^ "Grenoble v. Marseille Match Report". LFP. 8 August 2009. Archived from the original on 11 August 2009. Retrieved 9 August 2009. ^ "Le Mans v. Montpellier Match Report". LFP. 10 April 2010. Archived from the original on 12 April 2010. Retrieved 11 April 2010. ^ "Sochaux v. Lens Match Report". LFP. 7 November 2009. Archived from the original on 10 November 2009. Retrieved 7 November 2009. ^ "Lille v. Lorient Match Report". LFP. 9 August 2009. Archived from the original on 12 August 2009. Retrieved 9 August 2009. ^ "Le Mans v. Lyon Match Report". LFP. 8 August 2009. Archived from the original on 22 August 2009. Retrieved 21 August 2009. ^ "Sochaux v. Lyon Match Report". LFP. 7 November 2009. Archived from the original on 30 January 2010. Retrieved 7 November 2009. ^ "Lorient v. Boulogne Match Report". LFP. 7 November 2009. Archived from the original on 11 November 2009. Retrieved 7 November 2009. ^ "Grenoble v. Auxerre Match Report". LFP. 6 February 2010. Archived from the original on 6 February 2010. Retrieved 6 February 2010. ^ a b "Lyon v. Marseille Match Report". LFP. 8 November 2009. Archived from the original on 11 November 2009. Retrieved 8 November 2009. ^ "Boulogne v. PSG Match Report". LFP. 2 December 2009. Archived from the original on 5 December 2009. Retrieved 2 December 2009. ^ "Le Mans v. Lyon Match Report". LFP. 8 August 2009. Archived from the original on 22 August 2009. Retrieved 9 August 2009. ^ "Montpellier v. PSG Match Report". LFP. 8 August 2009. Archived from the original on 11 August 2009. Retrieved 9 August 2009. ^ "Valenciennes v. Nancy Match Report". LFP. 8 August 2009. Archived from the original on 11 August 2009. Retrieved 9 August 2009. ^ "Rennes v. Auxerre Match Report". LFP. 2 October 2009. Archived from the original on 6 October 2009. Retrieved 2 October 2009. ^ "Bordeaux v. Lyon Match Report". LFP. 17 April 2010. Archived from the original on 22 April 2010. Retrieved 18 April 2010. ^ "Avec 12 victoires consécutives, Bordeaux établit un nouveau record". La Dépêche. 9 August 2009. Retrieved 25 October 2009. ^ "Bordeaux v. Nice Match Report". LFP. 14 March 2009. Archived from the original on 1 May 2009. Retrieved 9 August 2009. ^ "Bordeaux v. Lens Match Report". LFP. 9 August 2009. Archived from the original on 12 August 2009. Retrieved 9 August 2009. ^ "Grenoble à 1 match du record européen de défaites". Liberation. 7 November 2009. Retrieved 7 November 2009. ^ "Les nouveaux maillots saison 2009/2010". fclweb.fr. Football Club Lorient. 2 July 2009. Archived from the original on 5 July 2009. Retrieved 4 July 2009. ^ "Olympique Lyonnais Shirt 2009/10". myfootballkit.com. My Football Kit. 30 May 2009. Retrieved 15 July 2009. ^ "Olympique Lyon 2009/10 Away Shirt". www.football-shirts.co.uk. Football Shirts. 17 June 2009. Retrieved 15 July 2009. ^ "Umbro OL 09/10 Kits". umbro.fr. Umbro, Inc. 12 July 2009. Archived from the original on 2 May 2009. Retrieved 15 July 2009. ^ "Les nouveaux maillots". OM.net. Olympique Marseille. 30 May 2009. Retrieved 30 May 2009. ^ "Le maillot 2009 en précommande". AS Nancy Lorraine. ASNL. 5 June 2009. Retrieved 6 June 2009. ^ "Paris Saint Germain 09/10 Nike Kits leaked". FSC. Football Shirt Culture. 30 May 2009. Retrieved 2 June 2009. ^ "Un nouveau maillot au Vélodrome". Stade Rennais Football Club. staderennais.com. 28 May 2009. Retrieved 11 June 2009. ^ "Coach Gerets confirms Marseille departure". CNN. Cable News Network. 29 April 2009. Retrieved 5 May 2009. ^ "Deschamps to succeed Gerets at Marseille". CNN. Cable News Network. 5 May 2009. Retrieved 5 May 2009. ^ "Paris SG and coach Le Guen to part company". CNN. Cable News Network. 5 May 2009. Retrieved 5 May 2009. ^ a b "Kombouaré agrees PSG deal". Sky Sports. 28 May 2009. Retrieved 28 May 2009. ^ "Antonetti to stand down at Nice". UEFA. UEFA. 18 May 2009. Retrieved 24 May 2009. ^ "Monaco to part ways with coach Ricardo". AFP. Agence France-Presse. 20 May 2009. Retrieved 24 May 2009. ^ a b "Lacombe takes over as Monaco coach". USA Today. Associated Press. 2 June 2009. Retrieved 2 June 2009. ^ a b "Philippe Montanier nouvel entraîneur de Valenciennes". Le Monde. LeMonde.fr. 2 June 2009. Archived from the original on 6 June 2009. Retrieved 3 June 2009. ^ "Antonetti signera mardi". Mercato365. mercato365.com. 1 June 2009. Retrieved 1 June 2009. ^ "Daniel Jeandupeux steps down after three months as Le Mans coach". CP. The Canadian Press. 12 May 2009. Retrieved 2 June 2009. ^ "Paulo Duarte nouvel entraîneur du Muc 72". Le Mans Union Club 72. MUC72. 2 June 2009. Archived from the original on 3 June 2009. Retrieved 2 June 2009. ^ "Guyot signe deux saisons". L'équipe.fr. Agence France-Presse and L'équipe. 9 June 2009. Archived from the original on 17 September 2009. Retrieved 9 June 2009. ^ "Ce sera bien René Girard". L'équipe. L'équipe.fr. 2 June 2009. Archived from the original on 5 June 2009. Retrieved 3 June 2009. ^ "Girard entraîneur". Ouest-France. ouest-france.fr. 2 June 2009. Retrieved 3 June 2009. ^ "Le Mans sack coach Duarte". ESPN. Reuters. 10 December 2009. Retrieved 12 December 2009. ^ "St Etienne sack Perrin". SoccerNet. ESPN. 15 December 2009. Retrieved 26 December 2009. ^ "St Etienne sack Perrin". SoccerNet. ESPN. 9 March 2010. Retrieved 11 March 2010. This page was last edited on 11 April 2019, at 03:21 (UTC).